The Daily Free Press, Boston University's independent, student-run newspaper, invites you to attend their second annual networking conference, The Next Edition. 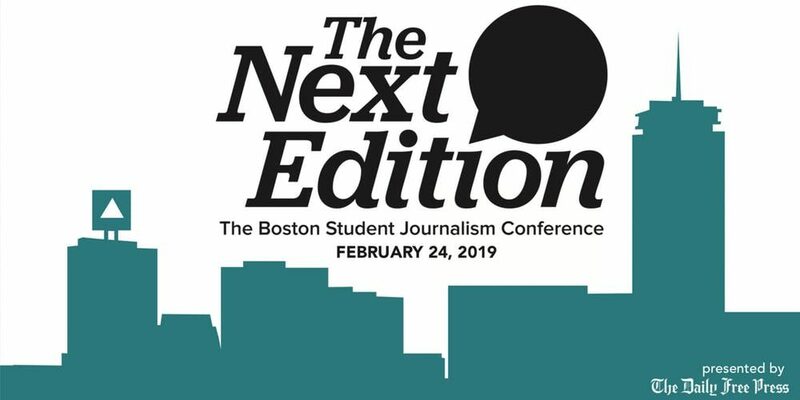 Journalism students throughout Boston will have the unique opportunity to connect with online, print, radio and broadcast news organizations and hear advice from accomplished media professionals on how to take that first step into the industry. The conference will consist of several panels and workshops throughout the day. Sessions with WBUR hosts and reporters listed below. Amory Sivertson, co-host of Endless Thread, will be a panelist at the session, "(Pod)casting your net: How to get your start in audio journalism." Andrea Asuaje, reporter and producer for Kind World, will be a panelist at the session, "So you think you can tweet? Advice for journalists in the social media age."